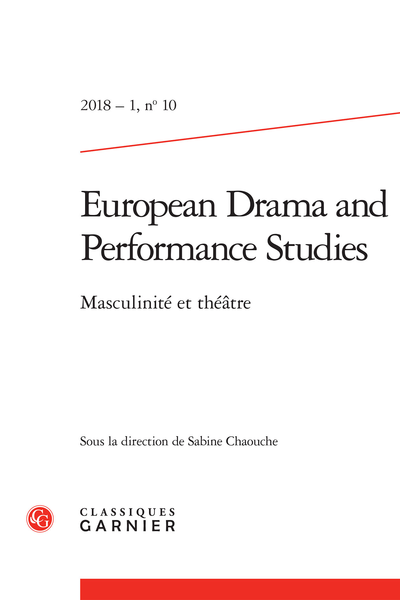 Abstract: European Drama and Performance Studies is a journal devoted to the history of performing arts. Thematic issues are published in French and/or English. UNE MASCULINITÉ SOUS CONTRÔLE ? Quelle(s) masculinité(s) dans les solos autobiographiques d’hommes au théâtre ?